While most known for its affordable insurance products for military members and their families, USAA is now gaining a reputation for its ever-growing number of credit cards that offer unique benefits for military members. Here’s a look at how USAA credit cards stack up and if any of them belong a place in your wallet. Looking for Other USAA Financial Products? Check out our Guide to USAA Financial Products, including insurance, banking, and brokerage accounts. USAA credit cards contain many of the regular cardholder benefits we have come to expect. But they also contain some special benefits that help out our service-men and -women who mean so much to the enduring freedom of our great country. Regardless of which USAA credit card you choose, you can enjoy a range of perks. Whatever the rewards programs outlined below, it is the fact that these cards are tailored for military personnel that may become active duty that you should consider. 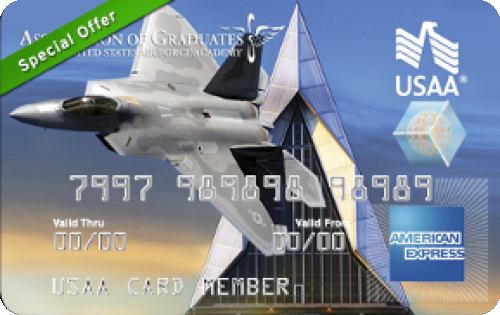 And, if you are already active duty, check out the USAA Active Military World MasterCard. USAA has several cash back credit cards. Cash back cards are usually the most popular type of rewards cards, although USAA's rewards system does leave something to be desired. While some of their cards earn a flat cash back on spending, some only earn "up to" 1.25%, which means your rewards are tiered. And all USS cash rewards cards require you to wait until January to redeem your cash-back bonus. However, there are additionally bonuses that make this card attractive to members of the military and their qualifying relatives. Those benefits are all ​detailed above. Here's a look at each USAA cash back card. The USAA Cashback Rewards Plus American Express® Card card is USAA's premier cash back card. You'll need good to excellent credit to qualify, but you can earn up to 5% back (see details below for terms and conditions) with no annual fee. If you have good to excellent credit and want an alternative to an AmEx card, check out the USAA Preferred Cash Rewards Visa Signature Card . This card has no annual fee and earns a flat 1.5% back on all spending, which means you don't need to hit any spending thresholds to get the maximum amount of cash back. The USAA Cash Rewards® Visa® is a basic cash back rewards card that has no annual fee and the ability to earn up to 1.25% back on purchases. The advantage of the Cash Rewards card over the Preferred Cash and Cashback Rewards Plus cards are the potential lower interest rates for the most creditworthy applicants. The potential in savings on interest charges outweighs lost cash-back opportunities. The USAA Cash Rewards® American Express® Card card is very similar, although slightly better, than theCash Rewards® Visa® card. This is because the Amex version of the card allows you to earn up to 2.25% back on gas and grocery spending. To earn the maximum cash back possible, you still need to spend more than $17,000 a year. But you also are able to take advantage of a lower APR, if you have good enough credit. For those who run a balance, this should more than make up for lower cash rewards. USAA offers a Visa and AmEx that earn rewards points that you can redeem points for gift cards, travel, merchandise, or cash back. Unfortunately, your points aren't worth a lot. How much your points are worth depends on how you redeem them. The more points you redeem at once, the more each point is worth. For example, you need to spend 6,000 points to get a $50 statement credit. This makes each point worth just .008 cents each, or less than a penny. You will need to redeem at least 20,000 points at a time to get to 1 cent per point cash back. The worst value comes when you redeem points for gift cards and merchandise, in which case you will never get even a penny per point. You can get the best value by using points for cruise rewards, in which case you can get up to 1.2 cents per point. Once again, we emphasize that the real benefits of USAA issued credit cards are in the extra benefits it offers to those whose server our country,​ not in its rewards programs. The USAA Rate Advantage Platinum Visa® card is designed for people who want a no-frills, low rate credit card. This card has no annual fee, no penalty APR, and a very low variable APR. If you want a card that offers travel, retail, and military benefits with the benefit of a low APR, this card is worthy of your consideration. USAA offer a Classic Platinum Visa® and Classic American Express® card for members with average credit. As an incentive to improve your credit, USAA will periodically review your payment history and credit score for consideration to be upgraded to a premium card. One note: cash advances and balances transfers are not available with the USAA Classic credit cards. All three work just like regular cards. They are not debit or prepaid cards. This means they can help you establish or improve your credit score. When you open a USAA secured credit card, you will also open a USAA 2-year certificate of deposit (CD). The deposit you provide to open your secured card will go into an interest-earning CD with a 2-year term. You will need a minimum deposit of at least $250 to open a secured card/CD, although you can deposit up to $5,000. Your deposit will be equal to your new credit line and it will continue earning interest for two years. USAA will periodically review your account. If you establish an on-time payment history and your credit score improves, you may get an automatic upgrade to a premium unsecured USAA credit card. Interest rates, charges and fees for your USAA cards are similar, and highlighted below. * Where appropriate, we do mention to check the offer terms and conditions for the credit card you actually apply for. Your card will have the same APR for new purchases, transfers, and cash advances (though USAA Classic cards are not eligible for transfers or advances). Your APR will vary based on the card you choose and your creditworthiness. This APR will vary with the market based on the Prime Rate. Check each card mentioned above for more specifics. Your due date is at least 25 days after the close of each billing cycle. You will not be charged you interest on purchases if you pay your entire balance by the due date each month. Depends on which card you choose. 3% of the amount of each transfer (capped at $200). 3% of the amount of each cash advance (capped at $200). Fee waived when transferring funds electronically to a USAA deposit account. 1% of each transaction after conversion to US dollars. Waived during deployment. Up to $25 for the first time late within prior 6 billing periods; otherwise up to $35.